A tourist killed in a crash crash in Thailand was not a New Zealander as Thai media had initially reported, the Ministry of Foreign Affairs and Trade (MFAT) has confirmed. Initial reports suggested a 65-year-old Kiwi had died when his car collided with a rubbish truck at high speed. A MFAT spokesman said the mistaken identification was probably because the dead man had borrowed a New Zealander’s car. A man from New Zealand lost his life yesterday when he crashed his car into the back of a bin lorry in front of the service station in Maenam, Koh Samui. 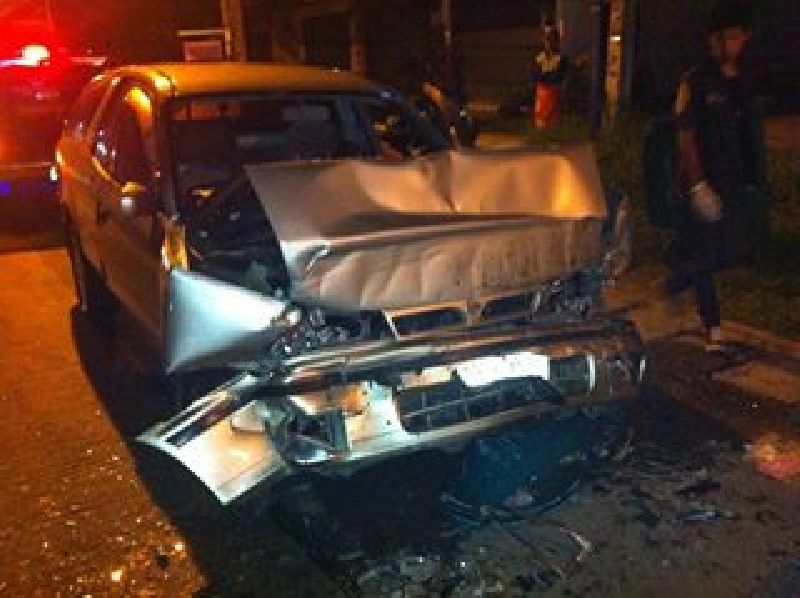 Frank Brown, aged 65, was found dead in the driver’s seat of the Nissan NV sedan after it slammed into the back of the truck at high speed. The driver of the rubbish truck Mr. Aphirak Duangmala, 33, said that he had parked the truck on the side of the road and his team got out to collect rubbish. While he was waiting for them to return he heard and felt Mr. Brown’s car smash into the back of the truck. He and his team rushed to the rear of the truck only to find Mr. Brown with extensive facial injuries, a fractured neck and broken legs. The police who arrived at the scene soon after the incident said that Mr. Brown would have died on impact. Mr. Aphirak was charged with committing a reckless act that lead to the death of another person, because his truck was parked illegally. Mr. Brown’s body has been taken to Koh Samui Hospital for an autopsy that will establish if he had any alcohol in his blood. The New Zealand Embassy has been informed of his death.